Bindu | Mumbai | acrylic on canvas | 150.2 x 150.2 cm. A founding member of the Progressive Artists' Group in 1948, Syed Haider Raza was a pioneer for the cause of Modern Indian Art. 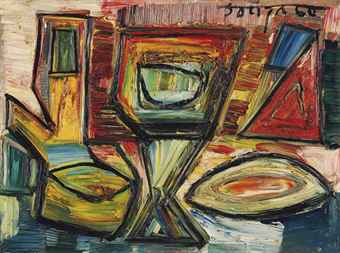 His abstract oeuvre, spanning over six decades, is a study in the possibilities of color and formal relationships. His best-known works are densely geometric, reminiscent of abstract pioneers like Wassily Kandinsky, inviting viewers into complex spatial and emotional interactions with his canvases. His life and work took a decisive turn in 1950, when he won a French Government Scholarship and left to study at the Ecole Nationale des Beaux-Arts in Paris, where he was greatly influenced by the coloration and composition techniques of the Post-Impressionists. It was also his first exposure to the country that would later become his second homeland. Still, his work changed throughout his life, evolving toward greater and greater abstraction. 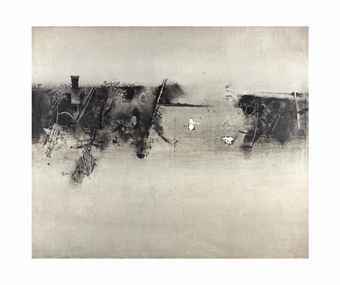 In 1962, he was invited to teach at the University of California in Berkeley, where he worked with Sam Francis and fell in love with the work of American Abstract Expressionists, particularly Mark Rothko. "Rothko's work opened up lots of interesting associations for me," he has said. "It was so different from the insipid realism of the European School. It was like a door that opened to another interior vision." 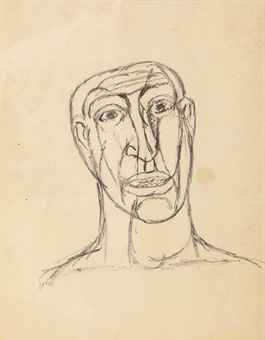 In addition to numerous solo shows in galleries around the world, his work has been included in international exhibitions in cities like New York, Washington D.C., and Oxford, at the Royal Academy of Arts in London and the Lalit Kala Akademi in New Delhi, and in the Biennales of Venice, Sao Paulo and Menton (France). He won numerous international honors along the way, including the Prix de la Critique (1956), and the Padma Shri, one of the highest civilian honors awarded by the Indian Government (1981). In 1983, he was elected Fellow of the Lalit Kala Akademi in New Delhi. 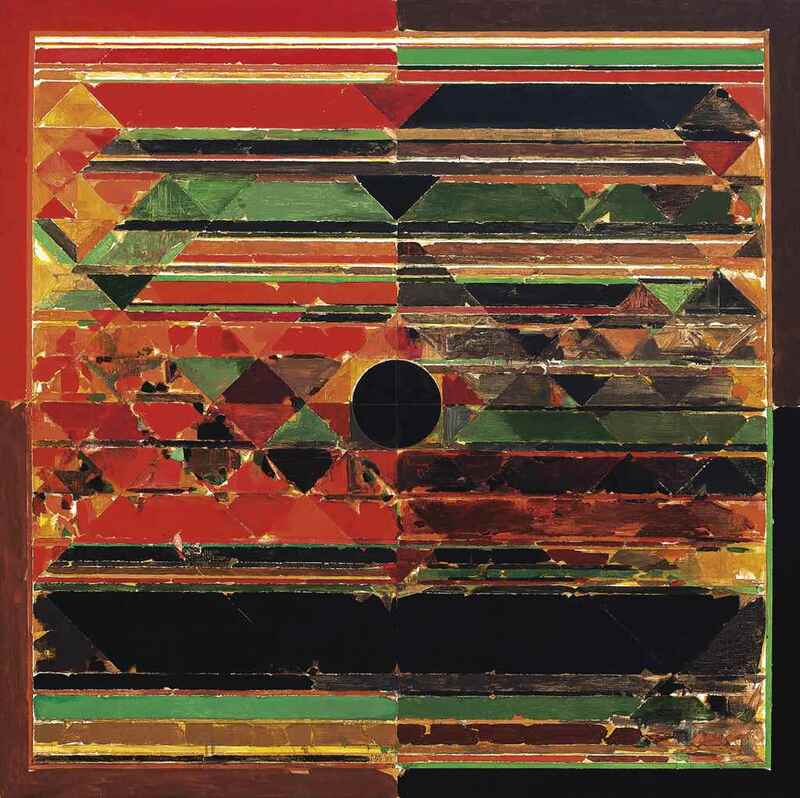 Born in Barbaria, in Madhya Pradesh, India, Raza studied at Nagpur and at the Sir J.J. School of Art, Mumbai, before he left for France. For about 60 years, he stayed mostly in Paris and in Gorbio, in Southern France. In 2010, he moved back to his native India where he lives and works today, in New Delhi.